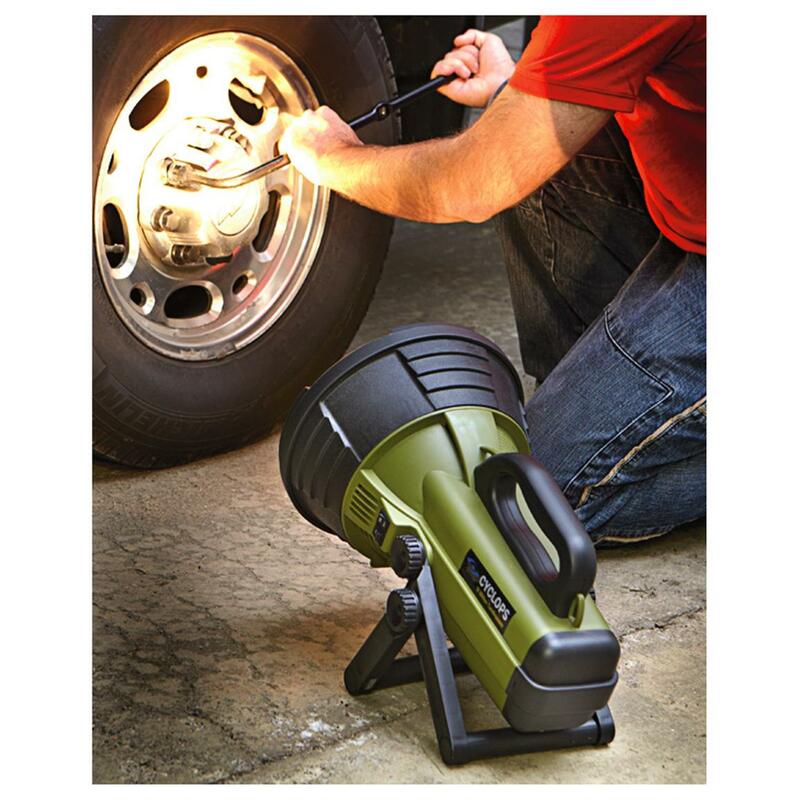 Rechargeable extreme lighting! Take this portable pal everywhere to clearly see in the dark. This light casts a super bright beam for ultimate vision. Additionally, the lamp has two adjustable legs for stable and hands-free set-up. Measures 17.5" x 11" x 11.5"
Cyclops Colossus 18-Million Candlepower Spotlight is rated 4.3 out of 5 by 27. Rated 5 out of 5 by Anonymous from Great light!!! Love this light. I can see clear across my 10 acre field. Highly recommend! Rated 5 out of 5 by rexpippr from Huge light This light is so bright it is unbelievable, it is the brightest spot light I have ever seen. It is much bigger than I expected, I have a large field behind my house and it litesit up like daylight! Watch out wild hogs! Rated 5 out of 5 by Melanie from Powerful Torch! 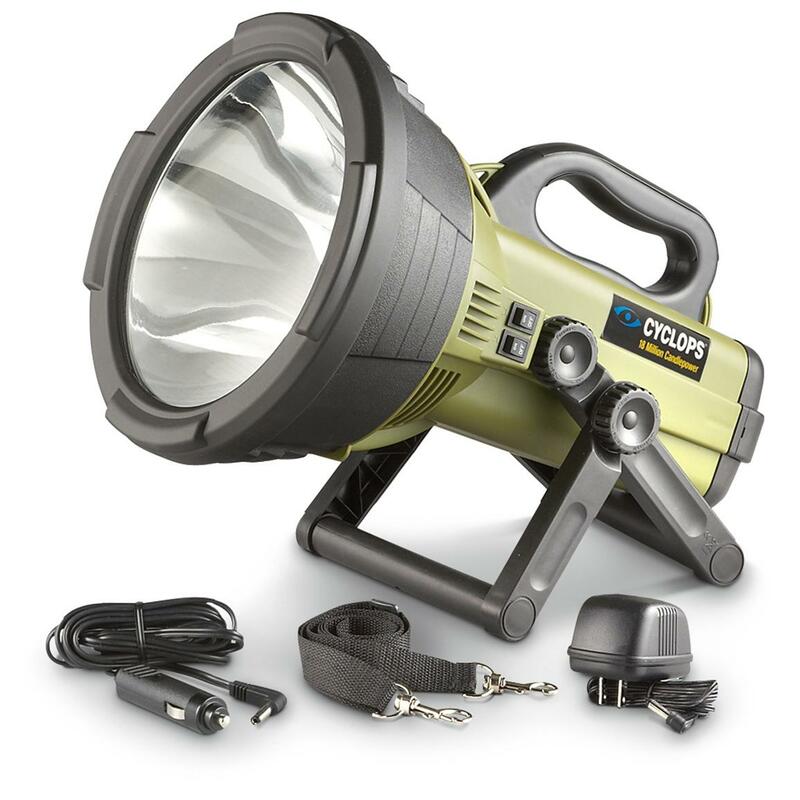 I was seeking a halogen spotlight as opposed to an LED and found the Colossus 18-million Candlepower Spotlight. AMAZING! Very bright and projects a long way. You can also use a lower setting when you don't need as much light. Very happy. Rated 4 out of 5 by Drawde from large but light charging time is lengthy , but light is light weight and very brite !